I can remember going camping as a kid with my parents. Living way out in the country we never had to travel very far to find a good spot. The best part of the whole thing was gathering around the camp fire late at night to roast marshmallows, make smores, and tell ghost stories. This cake brings back those memories. It's not a smores but it definitely tastes wonderful and is perfect to get the family all together again. 1. Make the box of chocolate cake mix according to the directions on the box. 2. As soon as the cake comes out of the oven poke some holes in it. Then immediately pour the marshmallow ice cream topping and then the hot fudge topping over the cake. 3. 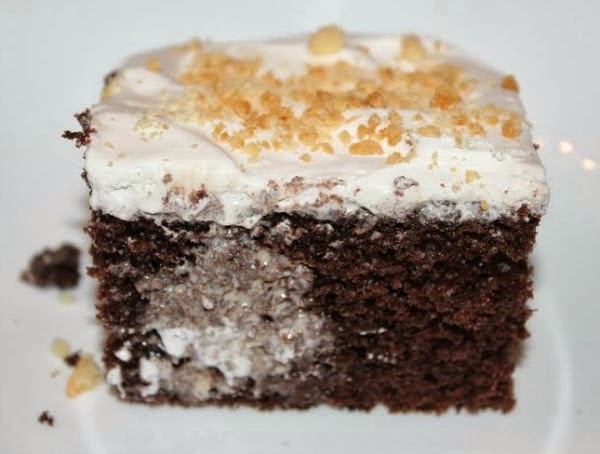 When the cake has completely cooled, this could take several hours, you need to top with the cool whip and then garnish with crushed gram crackers. 4. Refrigerate for at least several hours before you plan to serve. 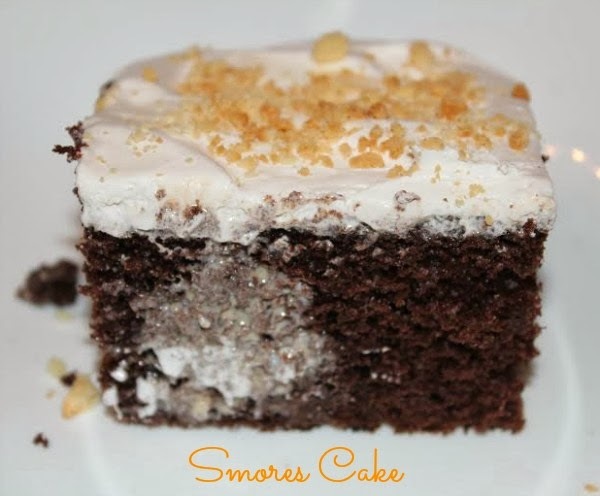 You want the marshmallow and hot fudge toppings to have plenty of time to soak into the cake. This cake is really better the next day, so make ahead of time if you can. 5. Keep stored in the fridge. Oh, that looks pretty decadent! Love the marshmallow! It looks so yummy, I'do it for tomorrow thank you so much! This looks like something I wouldn't say 'no' to!